Come enjoy a delightful meal at The Naked Wing. They are open at night all week and are readily reachable by car. Sunset Grill quickly developed long lineups of loyal customers. With huge popularity and consistent service, it quickly became the place to be for the best breakfast in town. Popeye's Chicken invites you to their establishment. Explore a menu offering chicken, priced at less than $10 and can get there by car. Come enjoy a delicious dish at Sunset Grill. Discover a menu featuring a brunch menu and a breakfast menu, priced at 11$ to 25$. They are readily reachable by car. Come savor a delectable creation at Swiss Chalet. This eatery cooks chicken for 11$ to 25$. They are readily reachable by car. Come savor a savory dish at Jack Astor's. 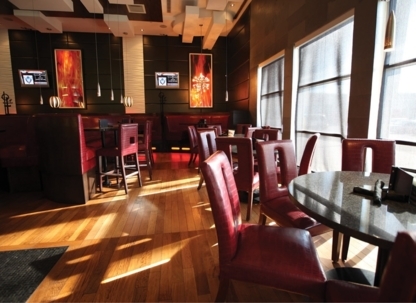 Come enjoy their casual atmosphere. They are readily accessible by car.